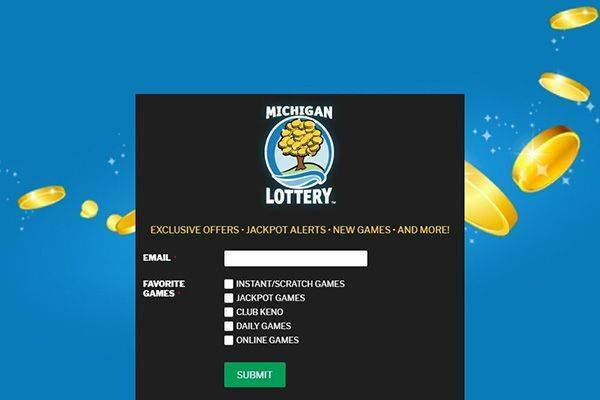 Although the online games are difficult to win and the website has too much traffic, Michigan Lottery is an honest and reliable program that is free of scammers. Residents and visitors of the state can access tickets both online and offline. There are also syndicates available. Michigan Lottery was established to fund the State’s public school system. It has donated over $20.7 billion to the School Aid Fund. With every ticket bought, you’ll be supporting the state’s educational initiative. With over 304,000 monthly visits, Michigan Lottery offers a wide range of lottery draws including Daily 3, Daily 4, Fantasy 5, ezMatch, Lotto 47 + ezMatch, Club Keno, Pull-outs, Keno!. It also has larger lottery games like Mega Millions, Power ball and Lucky-4-Life. The Lottery also offers Scratch games. 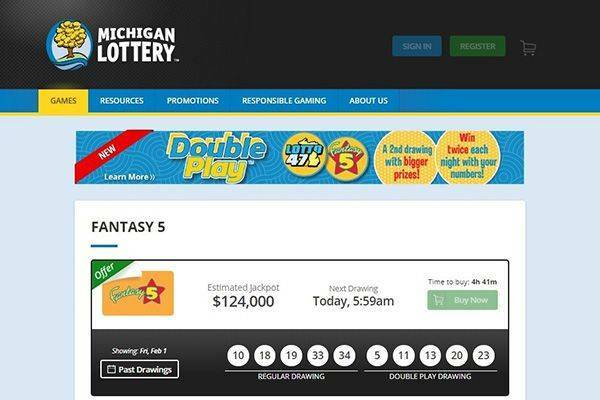 Michigan Lottery offers their own game called Michigan Classic Lotto 47. It is played every Wednesday and Saturday. Their $40,000 raffle is tax-free, one of only few of such in the country. The diversity of games available is huge. It even offers bingo. The traffic on the website is insane. Players spend up to $24 million dollars on the online site weekly. This has led to complaints about the website being quite slow. The primary language of the site is English. It supports downloadable software. Gladly, the website is graphically pleasing and the user interface very friendly, with the homepage displaying a very long list of games and lotteries offered. It is easy to find lotteries and games on the site. Michigan Lottery’s official app is probably one of the most useful and convenient lottery apps available. With it, you can watch Club Keno drawings, view jackpots, check winning numbers and find Michigan Lottery retailers near you. Even better, you can scan tickets to check for winners, play the Daily Spin plus other online games, and purchase tickets for Lotto 47, Mega Millions, Powerball and Fantasy 5. 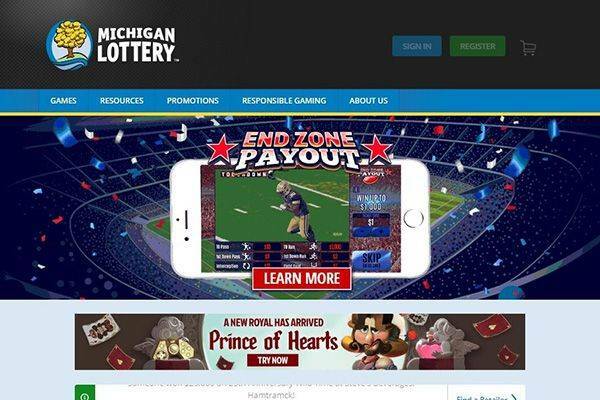 The Mobile App is available to Michigan Lottery account holders only. It is available for IOS devices and Android devices. The Android app on Google Play Store has a four star rating. 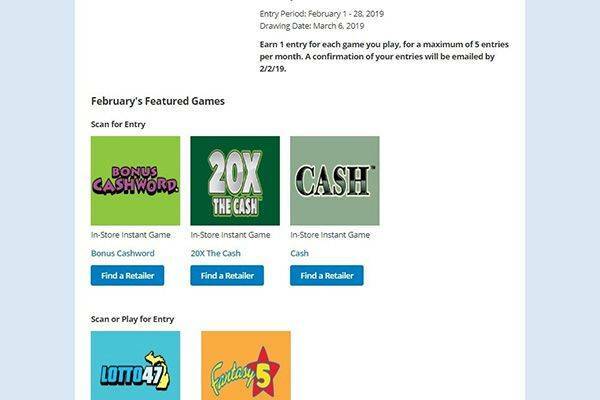 Michigan Lottery offers players certain bonuses, like Login & Get Free Games, Deposit & Get Free Games, Deposit & Get Entries and so on. In addition, they offer a variety of discounts. 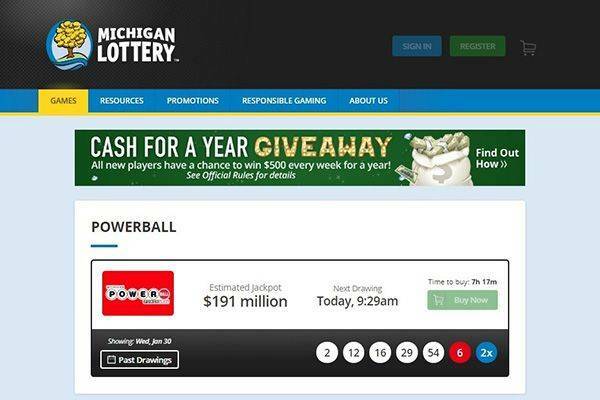 For deposits, Michigan Lottery accepts only US dollars. A sum of $5 must be deposited before you’re allowed to play. This is quite inconvenient, but at least Michigan Lottery does not charge winning commission. Ticket prizes range from between $0.5-$20. Deposits options are with PayPal, Visa, MasterCard, Discover and Michigan Lottery Online Game Card. Deposits and withdrawals are relatively easy and the website has a picture-based guide on how to make deposits and withdraw cash. For withdrawals, methods allowed also include ACH, PayPal, Netteller and Check. Michigan Lottery is so tech-forward that they also provide scanned copies of lottery tickets. This is hardly done in other lottery platforms. Claiming any prize over $600 is not an online job and requires that you present valid proof of picture ID at a Michigan Lottery Claim Center or regional office. This may include current, non-expired, versions of State-issued drivers license, state ID card, Military ID, Passport and social security card. Prizes greater than $50,000 must be claimed at the Lottery headquarters in Lansing. 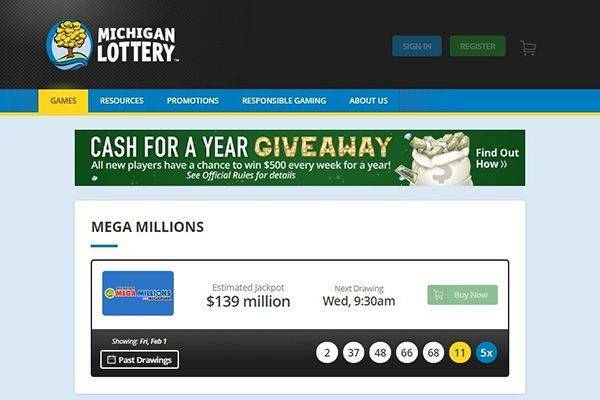 The Michigan Lottery has a modern site and operation in comparison to other state lotteries. It is shown across the site in its support and intuitive interaction. It is also shown in its channels of communication with its visitors. There’s a comprehensive FAQ page that most would find an answer in. The website has been online since 2001 and is legitimate. The Michigan Lottery is a state government-operated entity. It uses NeoGames software licensed in Michigan. The website is secured by Google Safebrowsing and Norton Safeweb and has an Alexa ranking of 50,268. It is NCPG ICAP verified. Their newly updated website is neat and organized. The site has a good reputation. The company has mostly positive reviews and on that note, we highly recommend this and give it a 3.5 rating out of 5. With over 45 years in existence, the Michigan Lottery is steady and reliable and has passed many tests of efficiency. It is a strong platform that operates all games with integrity.